I have been obsessed with Italy and Italian food for as long as I can remember! Pasta has been my favourite food since I was a toddler and that hasn't changed in 25 years. 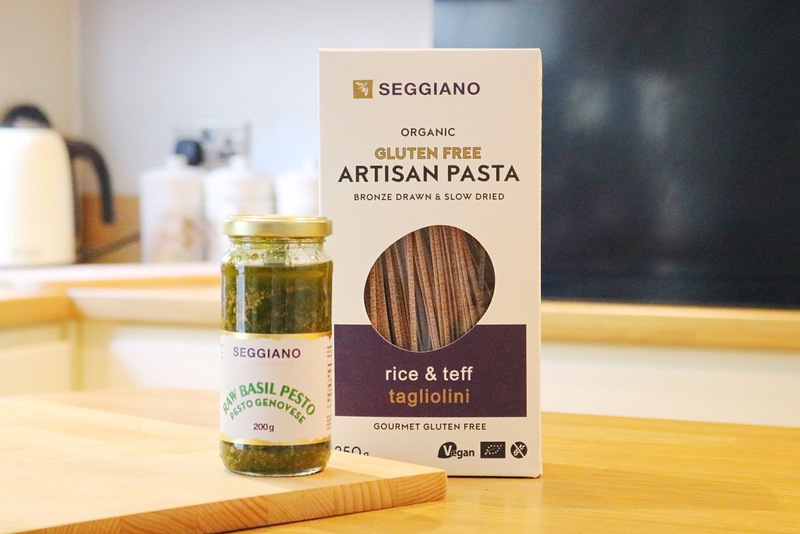 I've been lucky enough to visit various cities around Italy and it has just reinforced my love for all things Italian, especially pasta and pesto so I was very excited when a lovely package from Seggiano arrived! I discovered my love for pesto while on holiday in Rome with my parents and younger sister, possibly on my 18th birthday and I've been in love ever since. I have migrated from using store bought, which is usually quite flavourless, to making my own spinach pesto which is much healthier but there are some days when I really don't feel like cooking or washing up my Nutribullet so this pre-made pesto is perfect. 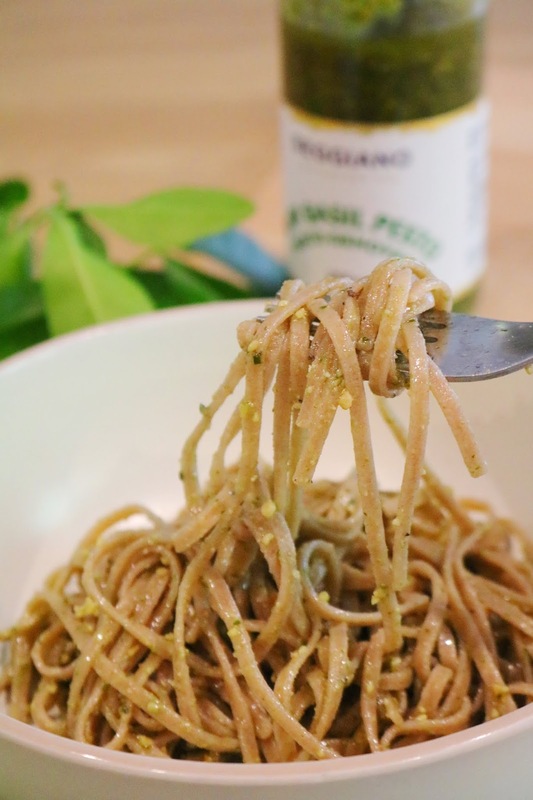 The pesto is made from fresh Ligurian basil, olive oil, cashew nuts, sea salt and pine nuts so it is completely vegan! It is also gluten free, GMO free and wheat free so it can be enjoyed by so many. I love the packaging, I love the minimal ingredients and while it is fairly high in calories due to the nuts and olive oil, it is very delicious! A little goes a long way and for one portion with the pasta, I only used a tablespoon or two and it's very flavourful! It's the best pre-made pesto I've tried! Now, I have tried gluten free pasta, I was gluten free for about a month as I was trying to find out whether it affected my eczema (it didn't) and I'll be honest, I'm not a fan of the gluten free pastas I've tried as they tend to have a strange texture compared to normal wheat pasta. I was interested to try this one though as it's a 'gourmet gluten free pasta', it is made using a traditional process which involves slow drying the pasta. It's vegan, organic and GMO free. I was throughly surprised by this pasta as firstly I love the size, it's like mini tagliatelle and I actually like the texture - it isn't chewy which I find some gluten free pasta to be. With the pesto it has such a nice flavour and I wouldn't have immediately thought that it was gluten free, which is very impressive! Overall, this is my first time trying any products from Seggiano and I'm definitely impressed. The raw vegan basil pesto is just delicious, it's very moreish and great for days when you don't want to cook. The gluten free pasta is the biggest surprise as it's actually so good, unlike all of the other gluten free pasta I've tried. The pesto and pasta together is the perfect combination and I cannot recommend them enough! Have you tried anything from this brand? Do you like pesto? I adore pesto, I have so many in my cupboard and a few I've made myself, they're the best! I LOVEEEEE pesto and actually make my own. And you are making me crave for a bowl of pasta at 2am! I love pesto- haven’t had it in ages though! This combination sounds divine! I love Italian food. Pesto makes everything taste better! It does sound fab, I wish I liked it more. Pesto is so delicious! You really can't go wrong with it. I love how easy pesto pasta is! ooh I find pesto quite hit & miss! 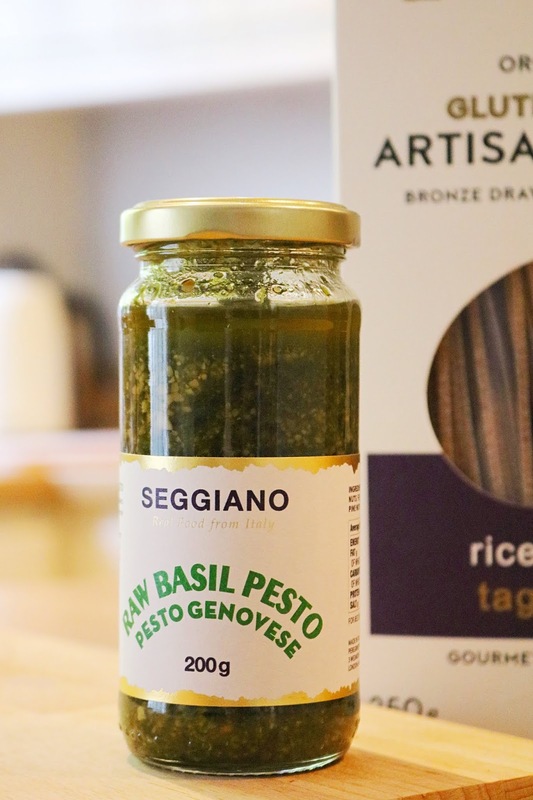 I love the Seggiano pesto too, so easy to do with pasta!